US Chimney provides Chimney Inspections to prevent any major problems in the future. Whether your chimney has not been used in years, or you have it cleaned annually, chimney inspection is a good preventative measure to protect your family and home. Most of the times problems are minor, such as small masonry cracks that can be fixed in minutes; but cracked mortar in vulnerable areas can be a serious fire hazard. Our experienced chimney professionals can identify and resolve these problems easily. 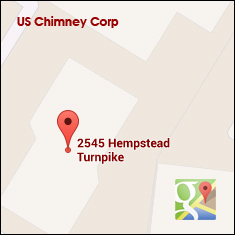 US Chimney Corporation is a family-owned business that has provided all of Long Island with comprehensive Chimney Inspection services and exceptional customer service for over 15 years. US Chimney Corporation offers a full scope of services to residents of Long Island, Queens, and Brooklyn New York in need of chimney cleaning, maintenance, and repair. We employ only highly trained and knowledgeable technicians, dedicated to delivering expert cleaning and repairs, as well as unparalleled customer service. Our staff stands behind each of the jobs we complete. 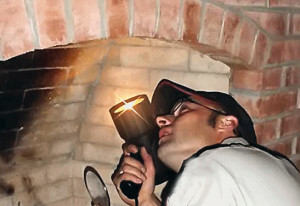 We provide highly functioning Chimney Inspections to figure out all of your future problems. US Chimney offers Chimney Cleaning, Water Seepage & Draft Problems, Chimney Cleaning, maintenance, and repair services. We believe your search for quality Chimney Contractors on Long Island will end with us. We’re committed to completing cleanings and repairs with skill and expertise, effectively meeting our customers’ needs the first time around. Make sure to like us on Facebook to keep up with our latest info – Follow us on Facebook.